Paper wasps are a type of wasp that build their nests out of wood and plant fibers. Another name for paper wasps is umbrella wasp, due to the shape of the nests they build. 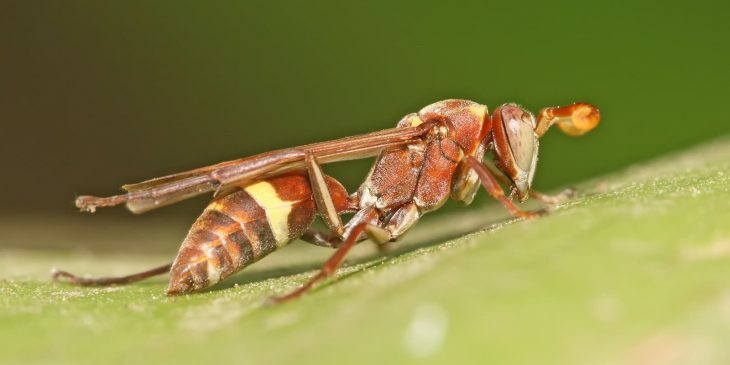 The paper wasp is one of the most common types of wasps in the United States, Europe as well as the rest of the world, with a total of about 1100 species around the world. The reason this species is called paper wasps is because they like to make nests out of paper items. 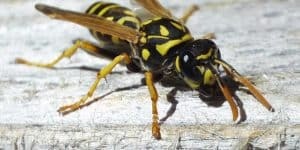 If you have damaged trees or even damaged wood products in your yard – such as the wood in your deck or patio – you may have been visited by paper wasps. They chew on wood pulp to make their nests, and one of the most distinctive characteristics of their nests is the cone shape – slightly round with a tapered bottom. The paper wasp is very aggressive in the fall, when they’re working hard to finish their nest. Most paper wasps are social wasps, and they will secrete a chemical that repels ants and place that around the nest to keep those insects away. 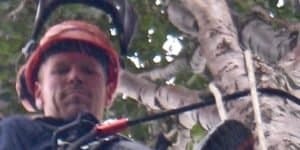 Their nests can be found in the eaves of a house, on an old clothesline, on some tree branches, and even on the end of an open pipe. Some paper wasps use plant fibers they have chewed up instead of paper, while other species have lost their ability to build their own nests and, therefore, raise their broods in their hosts’ nests. 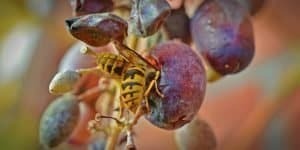 Like most wasps, paper wasps only sting when they feel threatened or intimidated. Nevertheless, their sting is quite painful, and even fatal to those who are allergic. Since their stingers are retractable and do not fall off when they sting someone, they can sting over and over again, which is painful even to those who are not allergic. 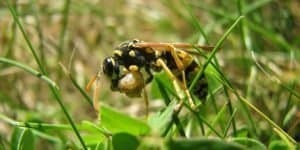 In addition, paper wasps are very territorial and therefore, they not only sting when they feel threatened but also when they feel you are coming onto their turf. 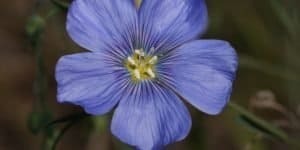 This makes them especially dangerous if you notice them in your yard or garden, and it is best in these instances to get rid of them sooner rather than later. Approximately one in 1,000 people die when they are stung by a wasp, so these insects have the potential to be very dangerous animals. 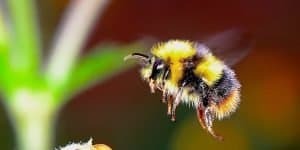 Each year across the globe, hundreds of people die after being stung by a wasp, so it is best to be careful and to try and avoid them whenever possible. If you are stung by a paper wasp despite being careful, the first thing you should do is wash the site with cool water then apply an antihistamine cream of some type. If you don’t have this product on hand, you can use baking soda or meat tenderizer instead. Mix the soda with a little water to make a paste before applying; this helps draw out the toxins and often removes the stinger as well. If you know you’re allergic or you feel yourself getting sleepy after a paper wasp stings you, it is best to get medical attention immediately. 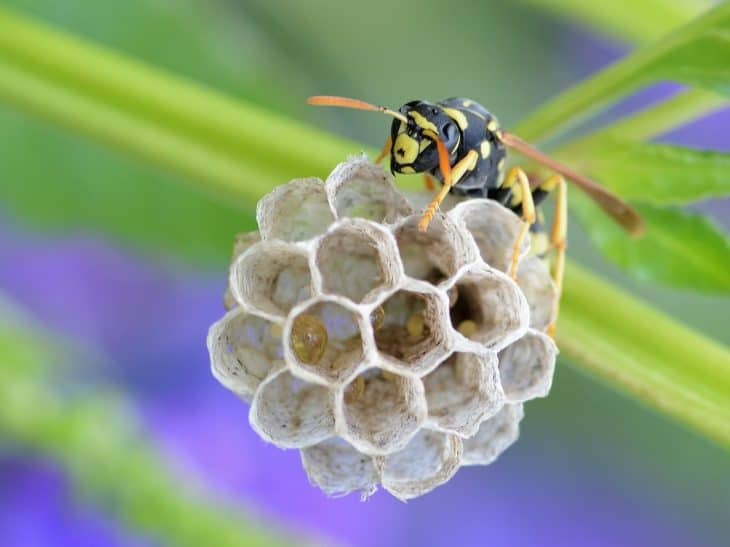 Whether you buy a paper wasp trap or decide to make your own, it is smart to put them out in late winter or early spring. It is also best to keep the trap four feet above the ground and 20 feet or more away from any type of human activity. If it’s cool outside, the trap should be placed in the sun, and when it’s bright and sunny outside, it should be kept in the shade. Traps for paper wasps should be moved around frequently because they work best when kept in temperatures that are no higher than 85-degrees Fahrenheit. 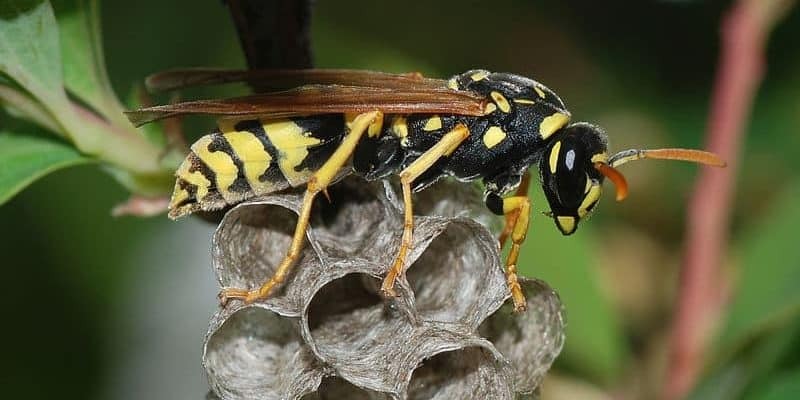 The main purpose of the trap is to lure the paper wasps inside, then they wear themselves out trying to escape and eventually drown because they fall into the water. Remember to move the bucket frequently to avoid placing it in direct temperatures of over 85-degrees Fahrenheit. If other animals are getting into the bucket, you can simply take some mesh wire and place it on top of the bucket to cover it. That should prevent any other animals from falling into the water or trying to get to the bait. It is also important to remove the wasps’ bodies as soon as they die. This is because live wasps that fall into the water may survive by resting on the bodies of the wasps who are already dead, which could help them to escape. 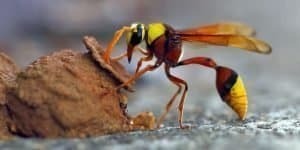 When they escape, they often go back to the nest and cause other wasps to fly towards the trap, which can wreak havoc in your yard and cause more aggression among the wasps. In addition, never crush the bodies of the dead wasps. This often causes them to emit a certain scent that is chemical in nature. 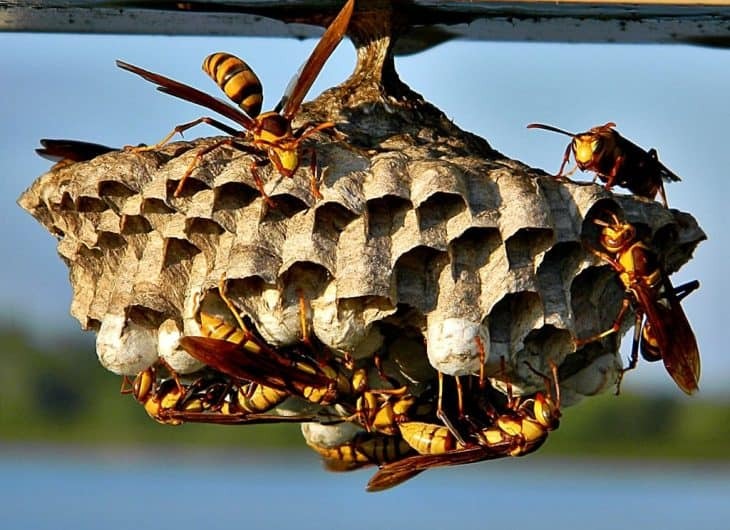 As a result, the other wasps in the colony will notice the scent and leave the nest, which can cause a lot of extra swarming activity and agitation among the wasps. If you’re interested in commercial traps for paper wasps, most are easy to find and inexpensive, and they can be found on various online stores for your convenience. Paper wasp nests can be found in any high-traffic area, including eaves and even shutters. If it’s early in the spring, you can simply knock down the nest because the queen hasn’t yet nested in that location. If it’s a large nest or it’s later in the season, a lot more caution needs to be used. Wait until it’s evening time so the wasps are settled down for the night, then treat or remove the nest. If the temperature gets below 50-degrees Fahrenheit, paper wasps get lethargic and, therefore, this is the best time to treat their nests. Most people do this with some type of insect spray, but if you choose this option, you have to make sure to check back later so that you can also kill any wasps who recently returned to the nest.